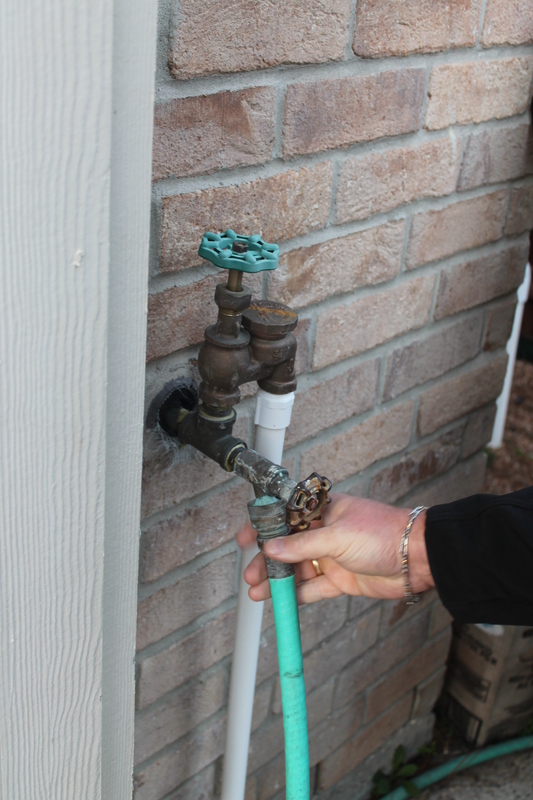 I love the Christmas song Baby its cold outside…So now that it is really getting cold outside make sure your pipes are ready for the next couple of days. You don’t have to be a professional to wrap your pipes. I remember as a young girl my mom asked me to help her wrap the pipes. All we used was a bath towel. Sure you can go buy special insulating material to wrap your pipes. It is not necessary. I decided to tell Bear I would take care of the pipes today. He of course didn’t let me tackle this task all on my own : ) however we all know that I could have. Let me know what you think. First we removed the water hoses from the hose bib. 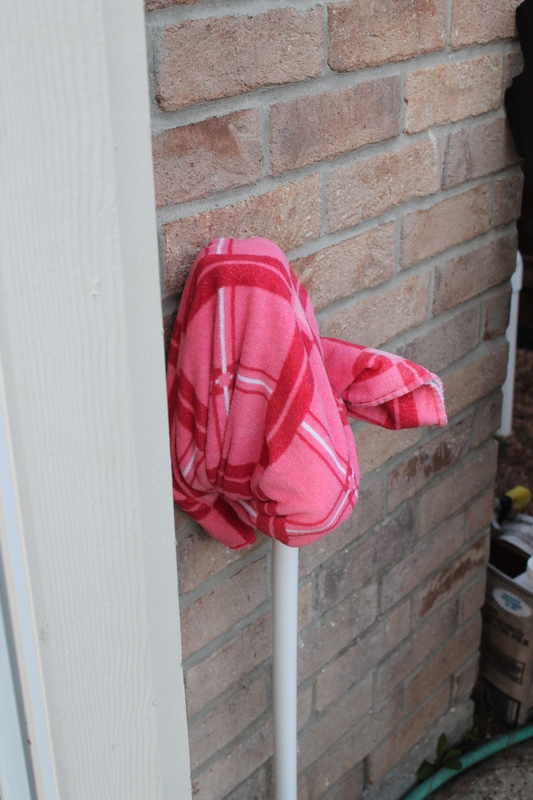 Then we wrapped the hose bib with a bath towel. 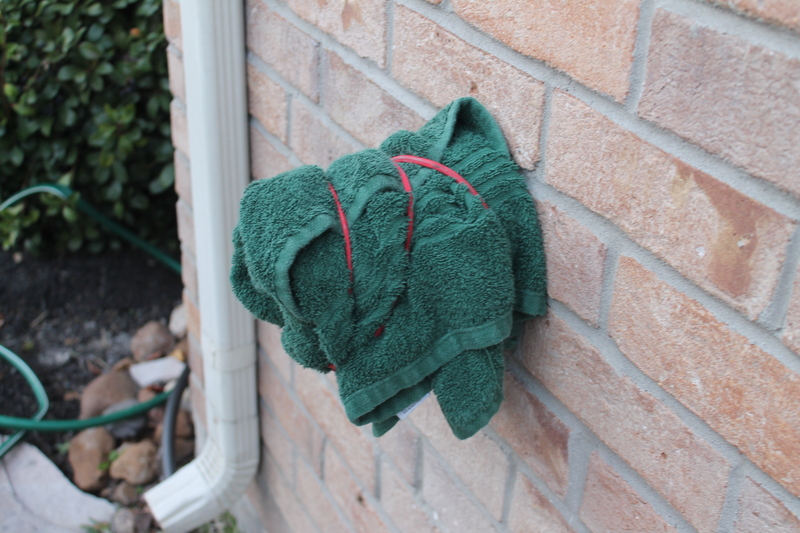 Bear was not too keen on the towels I selected : ) We needed a bungee or twine to keep the towel wrapped around the pipe. The main thing he said is to keep the pipes protected from the wind. We moved to the back of the house to the other hose bib. Removed the hose and wrapped it with a towel. Finally we went to the sprinkler system pipe. The last freeze we had this is what broke and had water spraying everywhere. First Bear turned the water off to the system. Then he opened the pipe to drain the water out. 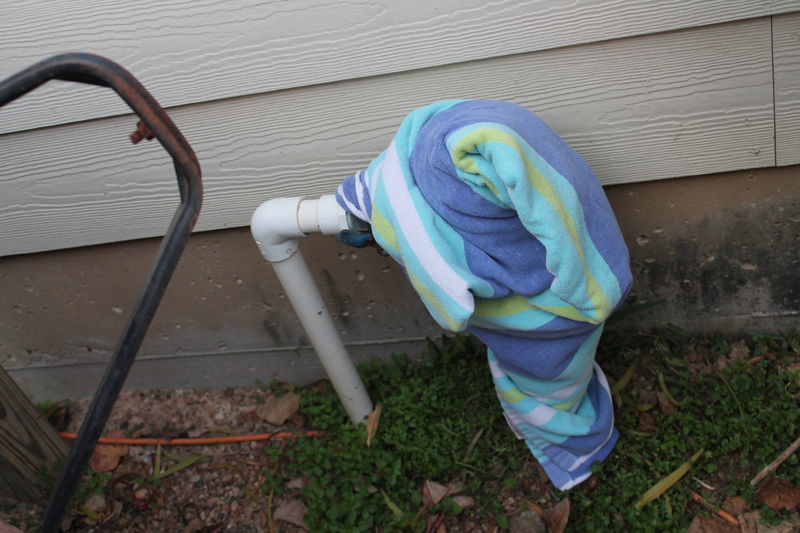 Last we wrapped the exposed pipe with another towel. 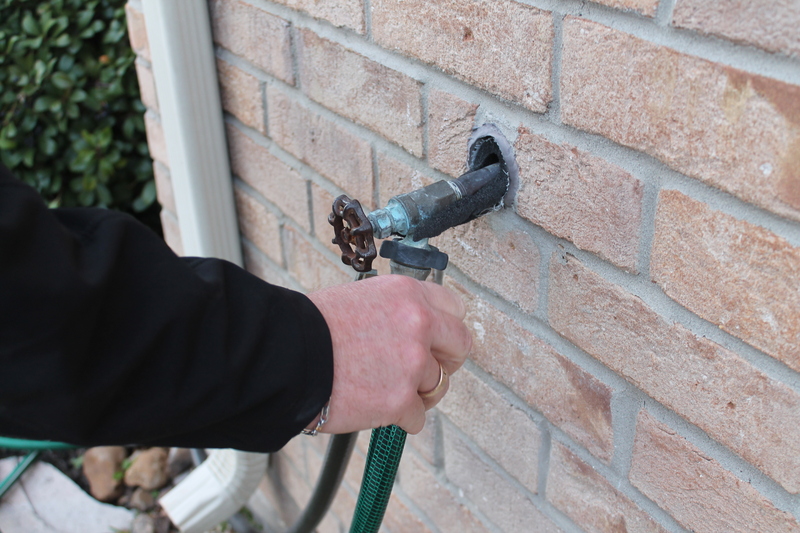 There are a few other things that you can do if you are worried about the pipes in your house. You can leave the faucet with a slow drip, make sure you drip hot and cold at the same time. If the drip stops, then the line may be frozen. 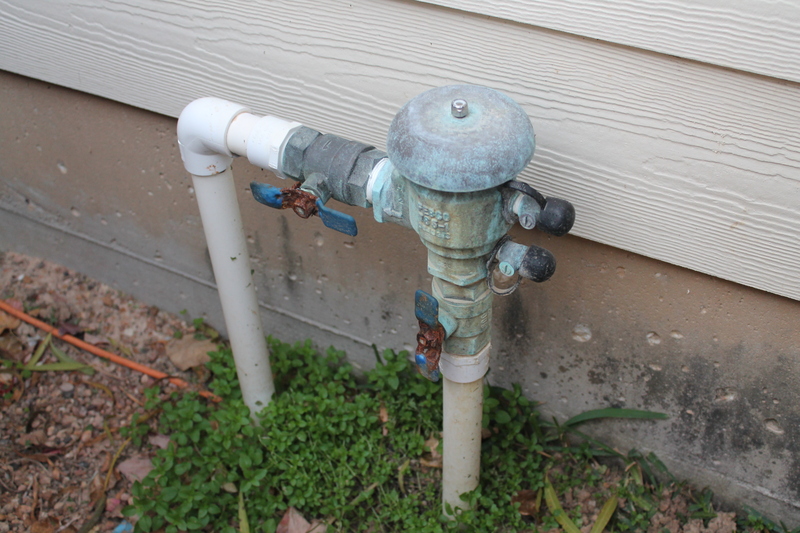 Leave the faucet open so when the pipe thaws out it can relieve pressure through the faucet. 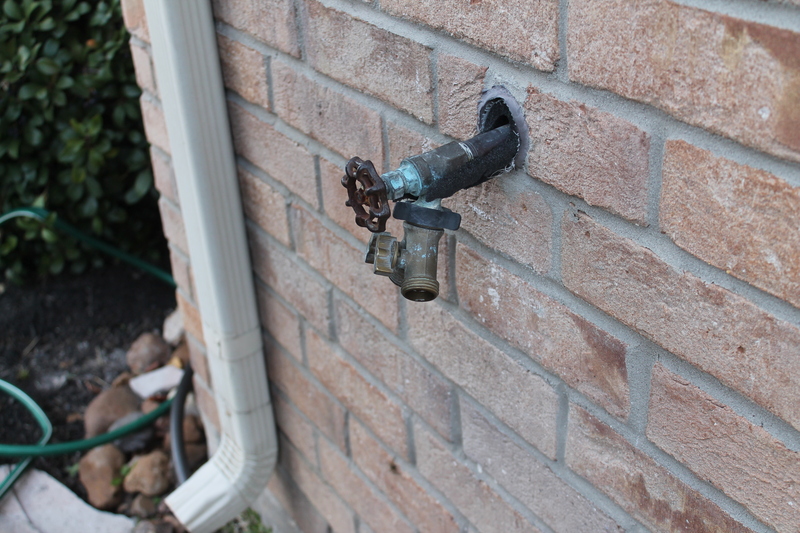 This is usually how pipes split because there is nowhere for the pressure to go once the pipe thaws. The other thing you can do is to open your attic door along with your cabinet doors to allow heat to get into where your pipes are. Good luck and stay warm.